TemplateMonster releases innovative new eCommerce WordPress theme: The Nextprest theme is a multifunctional, responsive eCommerce WordPress theme. 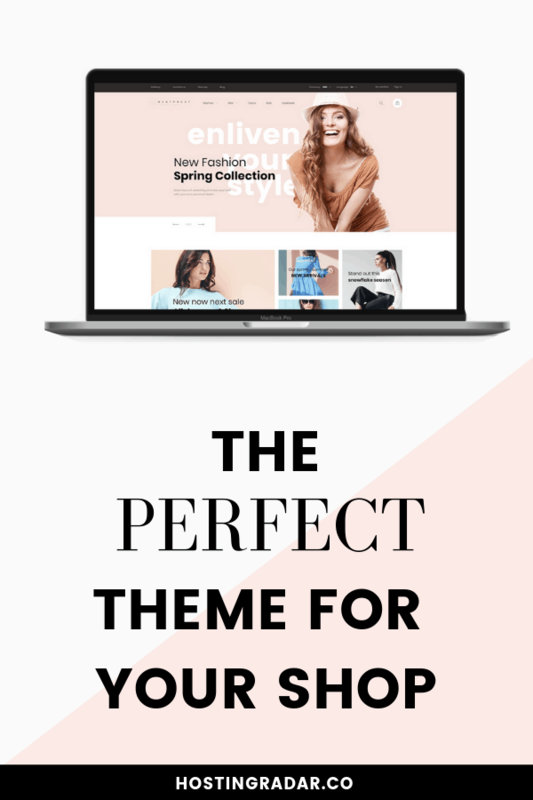 This new theme would suit the needs of many types of online niches – here’s why it may be perfect for your business! Popular WordPress theme developer TemplateMonster has added a compelling new eCommerce business theme to their portfolio. This eCommerce WordPress theme includes skins for widespread web industries like fashion, furniture, automotive parts, and extreme sports wear. It is integrated with pre-designed Homepage layouts, various Product and Category pages, Product Quick View etc. #1 Course On Starting A WordPress Website: Enroll Free! Thanks to its multipurpose nature, Nextprest will be extended to 10+ topics, and provide free updates for customers. When it comes to functionality, the theme has a wide range of features and different modules. Let’s take a closer look at what Nextprest offers. This eCommerce WordPress theme has been built with JX Mega Layout module. Thus, it is flexible and makes it easy to create a top column, header and footer blocks, and home according to your needs. Additionally, you can modify the homepage, build and position the custom blocks, banners, and text however you want. Using JX Mega Layout module you can arrange the composite menu into the categories including custom blocks, banners, links, and icons with ease. Since the module contributes to effective product navigation, it enables reaching better sales results. It’s worth mentioning about JX One Click Order module which delivers no sweat purchases. It is fast enough and saves much time for the consumers letting them make purchases on the fly. While on the subject, the customers highly appreciate such care and usually return in the future. While optimizing the website, one takes into account faster loading time. Accelerated Mobile Page module comes forward in this case. It delivers more prospects for portable devices. Because AMP makes the mobile pages load fast, it lets you keep the clients engaged during website browsing and further purchasing process. Blog posts are great instruments for sharing important information. Using blog you can inform your visitors and potential clients about the latest products news. JX Blog module comes with all Nextprest themes by default. So the upshot is, you can write helpful posts about new, popular, related products, upcoming collection or new arrivals. Working also as SEO tool blog posts allow you to increase the traffic and conversions at your website. Protect your site using JX Security Pack module. It also contains JX Security Panel, JX Security User, JX Security Watermark in the package. With this module, you can seriously improve the protection of your store. To significantly secure content you can block content publishing, adjust the URL when someone tries to copy it, put the watermark on the media, and much more. Well you know this is not the end. In addition, the theme comes with 20+ premium, up to date modules, multilingual and multi-currency support, Google map, Search, Wishlist & Compare functions, Newsletter Popup, and others. They are all available to make your website more engaging and efficient. Finally, Nextprest includes easy-to-follow documentation with the instructions on how to successfully set up and use the theme. To sum up, Nexprest is a flagship project and serious work for the future business. It hides many positive surprises. Hang on to your hat because the next release of the theme is under implementation.